Improve your IELTS Writing with this FREE tool! If you are not already using a Google Chrome browser, it may be well worth trying. It comes with a free grammar check extension called Grammarly which helps you analyse your spelling and grammar when communicating online. Let me know if you find these useful for your IELTS Writing self-practice. 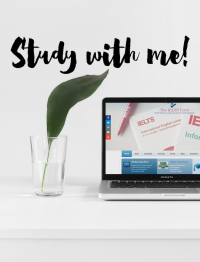 If you have also come across any helpful tools/websites to share with other IELTS students, do let me know or share them with us in the Reply box below.